Guess who got a stomach virus on Friday, days after Camden recovered from his? I couldn't keep any food down for a good 24 hours and it was really hard for me to stay hydrated! I woke up feeling much better on Saturday, but it was miserable. I'm just happy it didn't last any longer! ...On Saturday I got my hair done and I really love it! Billy gave me the day off of all mommy duties so I was able to get coffee and go shopping, too. It was heavenly, really. Total mommy reboot! 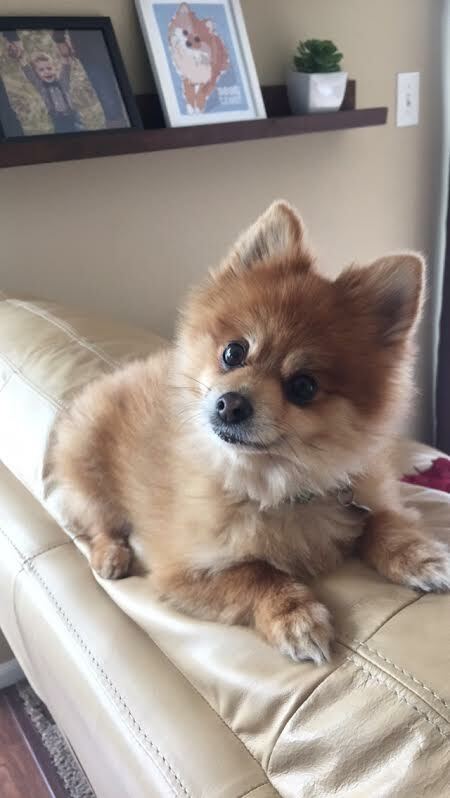 ...I almost lost Rocky over the weekend. I left the house thinking I had closed the door that goes out to our garage all the way, but apparently I didn't close it hard enough because it swung open and he got out. Billy was home so I didn't close the garage when I left, but thank God Rocky was too interested in some trash sitting in our garage that he didn't venture out. I felt horrible. ...I wait until the very last moment to fill up my tank with gas. I'm talking until the light turns on where it tells me "FUEL LEVEL LOW!" and even then, I still put if off. 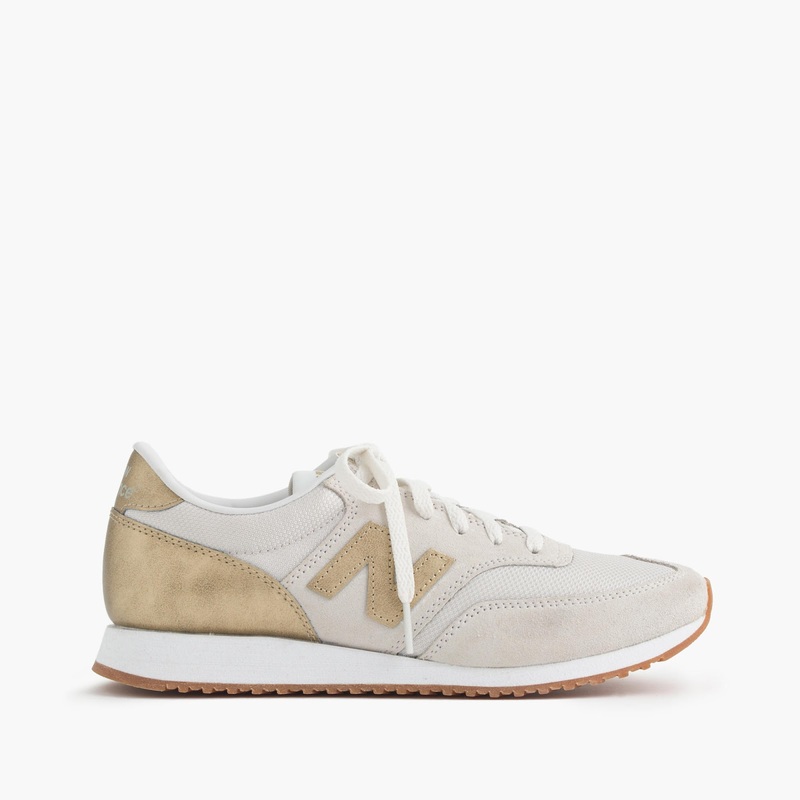 ...I finally replaced my rose gold New Balance sneakers (can't find them anywhere online but these are similar) with this white/gold pair. I honestly haven't bought myself many clothes since becoming pregnant (thanks to this expanding midsection), so new comfy shoes I can justify. I know these ones will sell out quickly and I think some sizes are already backordered, but jump to order (if you like them) while you can! Love them. ...Billy finished painting the nursery this weekend! After 6 or 7 different paint samples (#indecisive), I can finally say I'm happy with the paint color we picked! Which is a good thing because there is no way I would be able to convince him to re-paint that room, ha. Can't wait to show pictures once everything is more done! ...I'm really nervous to fly with Cam next month. Looking back, it makes flying with a baby seem so easy because now...TODDLER who wants to walk everywhere, hates sitting still, and thows his pacifier/sippy/toys randomly when he doesn't want them, being contained to ONLY an aisle? Lord help us. 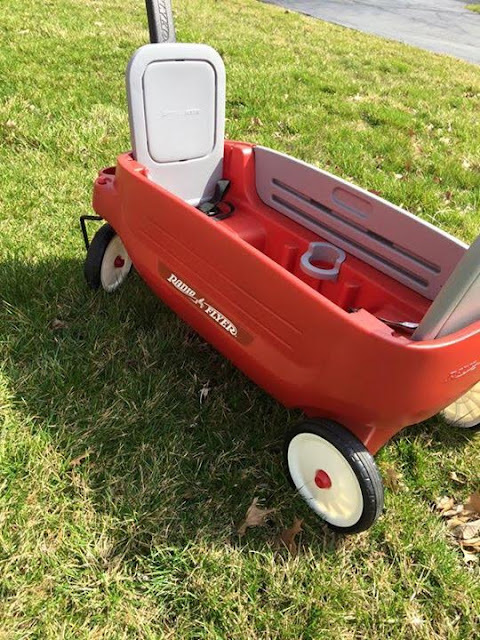 ...I scored a Radio Flyer wagon for only $40, thanks to one of the mom facebook pages I'm on! What a steal!! The last owner hardly used it so it's in great condition. Cam loves to ride in it and it'll be perfect when baby bro is here! ...I'M SO HAPPY JOJO IS THE BACHELORETTE! I've honestly never really cared or been so excited to watch a season before until her. I can't wait to see all the guys drool over her! And to see if any guys from other seasons come back to date her?! ...Spinach and banana muffins look really gross when baking them, but heck...they are delicious little things! I originally made them for Cam and I keep stealing them. The recipe will be on the blog tomorrow! ...A clean kitchen is good for the soul. No one can argue that...right? What do you confess? Happy Monday! PS: Don't forget to enter my giveaway for a $100 Gift Card so you can shop your heart out at Nordstrom! 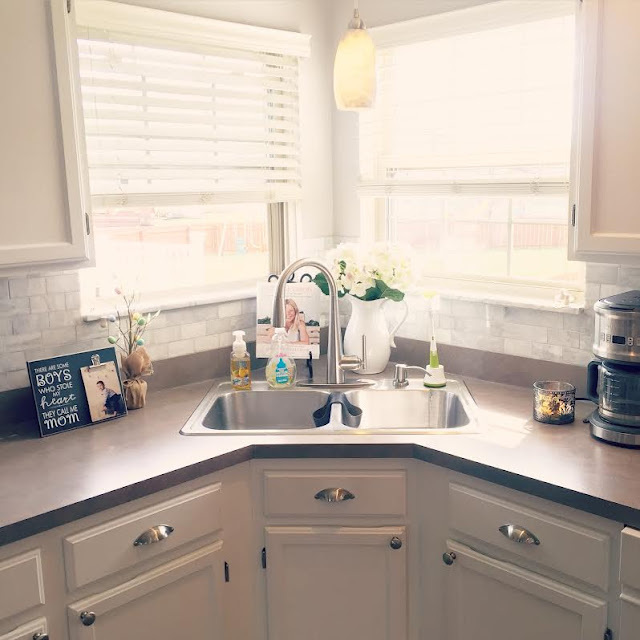 I love a good clean kitchen! looks gorgeous & I love all the natural light you have in there! thank you! I do love all the light we have in our kitchen - it's so nice! I'm totally with you on the pregnancy thing! I'm 27 weeks but I feel like I'm 37 most of the time. I definitely FEEL the pregnancy more this time around, if that makes sense. totally understand you girl! and I'm jealous your 27 weeks haha!! I confess that I'm slightly panicking because my baby will be 1 in less than 2 weeks ... and I'm thinking about having another but feeling crazy about it. How are you doing it again so soon? If you don't mind, I'd love to pick your brain about it. Sure, feel free to email me! Lots of people have 2 under 2 :) it'll be a wild ride, but we decided for us we wanted to have children close in age to grow up together and also so I can get the pregnancies out of the way, so to speak. We also would like to have another and I'm sure the older you get, the harder it can be. Overall, we had many reasons for wanting two close in age! I've heard lots of great things about the age gap and know it will be hard, but I'm confident it'll be worth it in the end! Your hair looks great! I also love the placement of the sink in your kitchen. I haven't seen many like that (just one other on House Hunters) and it just works with where your windows are. And I bet you have more counter space too. My biggest confession is that I miss blogging so bad!! Love the new hair my gorgeous friend and I am exactly the same with my car tank - lat minute! 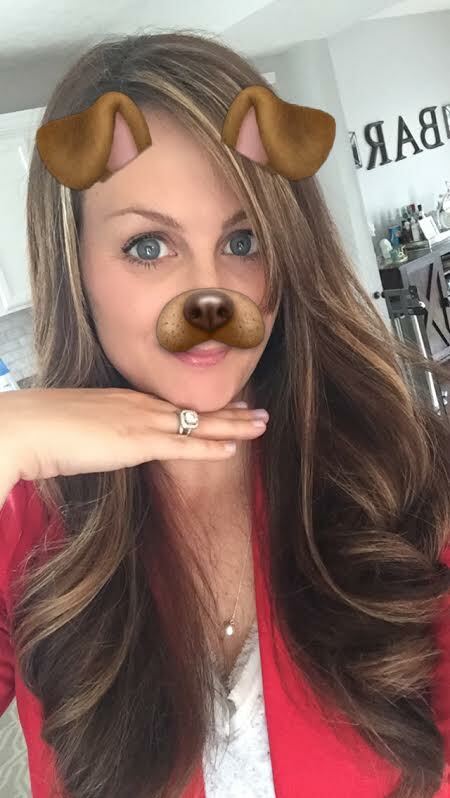 Yay for Jojo - we are still waiting for The Bachelor to air here in SA! So sorry you got the stomach bug too! That bug is no fun! 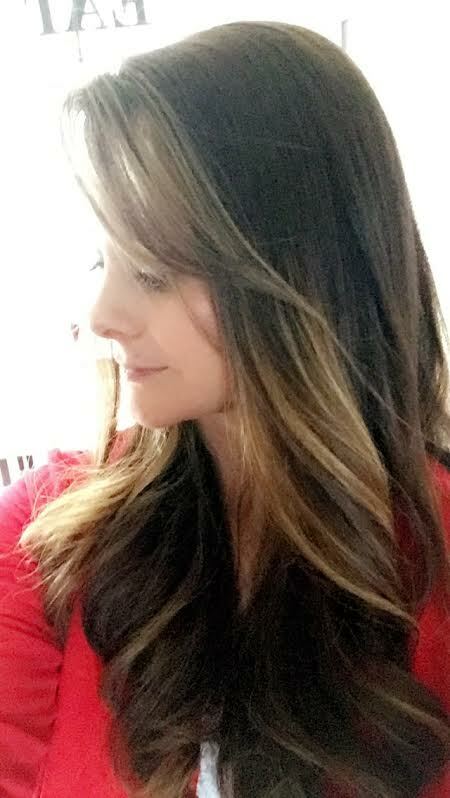 Love the new hair! I am also feeling much closer to 30 weeks or more pregnant than 25... ugh! Can't wait to see your nursery! Love the sneakers! I've been looking at ones similar to that for a while now. Great go-to casual sneakers! annnnnnd now I need those New Balance!!!!!!!!!!!!!!!!!!!!!!!!!!! !